Are you a student, (16 and older) or know any students looking for a job and ministry opportunity this summer? I started working with SummerShine when I was in college…spending a few summers in Myrtle Beach, working and serving were easily some of my greatest experiences. Fast forward to this past summer, when my husband and I got an opportunity to step back into a SummerShine role. I have hired the SummerShine teams for the past 8 years, but it’s been 7 years since I actually got to work at a campground. The Lord opened a door this summer and my husband and I stepped out in faith to go. We drove to South Dakota, and spent about six weeks on the campground…and, the blessing was ours. 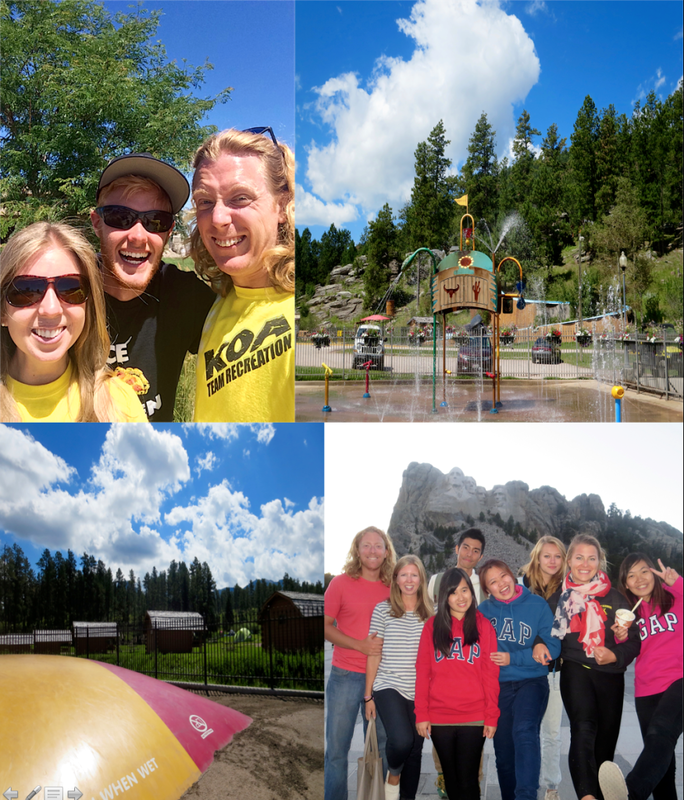 We met families from all over the world, experienced God’s beautiful creation in the Black Hills of South Dakota and took part in loving and working alongside broken people, just like us! Daily, in our jobs, at school, at church even, we don’t know what the Lord has for us. The decision to be available, to share a word of hope, to tell someone about Christ, is something we have decide to do. We have to look for those opportunities. SummerShine has reminded me that the Lord longs to use us in the places He puts us! He doesn’t want us to just treat every day life as the mundane, and wait to go on a mission trip. He wants us to be open to His work while we’re cleaning a bathroom, checking in a grumpy customer, or playing with kids! May we continue to see where we can minister. May we continue to seek His heart for those around us…and may we be willing to go where He’s called us! If you are a student, (16 and older) or know any students looking for a job and ministry opportunity this summer, check out www.summershine.us. We have some awesome locations available for students to learn, work and share their faith in across the United States and would love to have you on our summer ministry team!